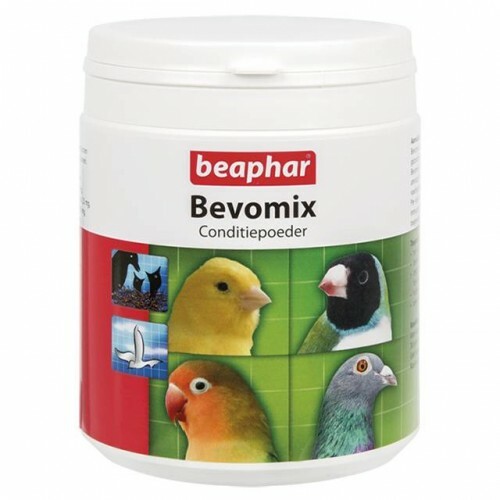 Bevomix condition powder keeps birds in optimal health it contains vitamins, minerals, prebiotics and probiotics and amino acids. Ideal as a supplement during periods when the bird needs extra nutrients. Complementary feed for cage and aviary birds and pigeons.